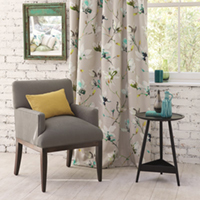 Darling Interiors, providers of curtains and blinds in Wiltshire & North Somerset, work with a huge variety of fabric ranges so we can offer you a colour and style of curtain that you will love for years to come. 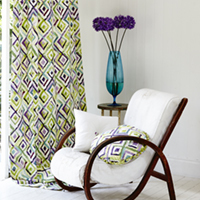 We will bring literally hundreds of swatches to your door so that you can choose your curtains or blinds in the comfort of your own home. 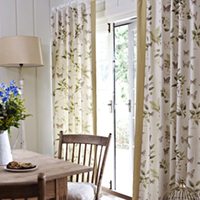 By seeing the fabric in the light of the actual room your curtains will hang you can be sure of no surprises when we fit them for you, with the same care and attention we would take in our own home. 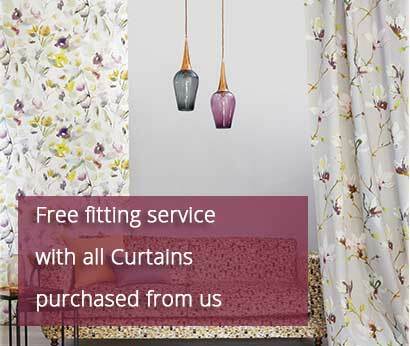 All you have to do is give us a call on 01373 672 359 to book an appointment or use our Contact Form and we will visit at a time convenient for you. 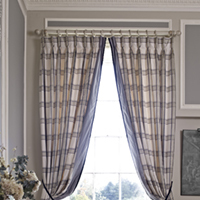 We’ll talk you through our lining and manufacturing options and discuss whether you would like pencil, pinch or goblet pleat, eyelet, tab top, ruched, swags and tails or any other heading that you might have in mind. 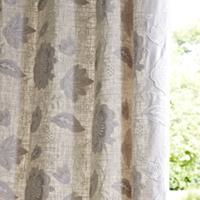 Click here to see a selection of curtain headings. 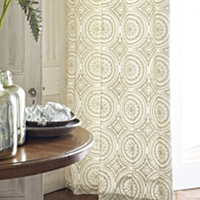 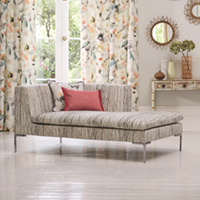 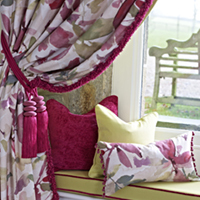 Darling Interiors supply made to measure curtains in Bath, Trowbridge, Frome, Melksham, Westbury & Warminster. 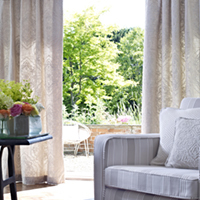 Call us for a FREE no obligation personal consultation on 01373 672 359 or email us by clicking here.